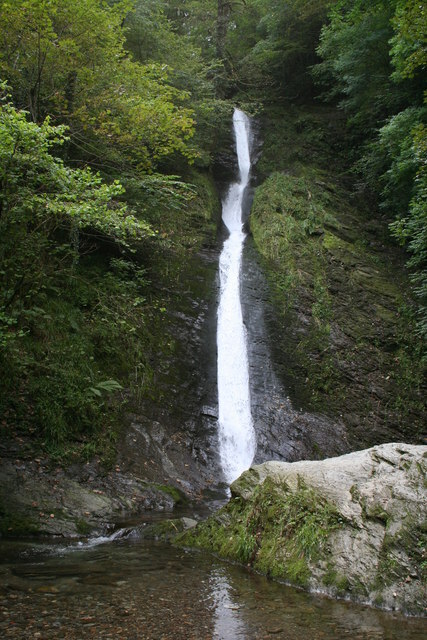 The Granite Way is an 11-mile cycle and walkway running between Okehampton and Lydford, mostly following the course of the former Southern Region railway line. The route is mostly traffic free and these sections are largely wheelchair accessible. Once you head off the Granite Way the terrain becomes more challenging, with a mix of paths and open moorland walking. From Sourton (SX 535904) there is access to the open moor and the rugged landscape of Sourton Tors. From Meldon (SX 559923) it is a short walk to Meldon Reservior (which also has car parking). The reservoir provides a circular walk, and from here there is access to some wonderful and dramatic open country, including Black-a-Tor Copse National Nature Reserve, an excellent example of high oak woodland, granite boulders and moorland. Meldon Viaduct (SX 565923) there is access to Meldon Woods, which has impressive displays of bluebells in spring. By bus: regular bus services run from Exeter, Plymouth and Barnstaple to Okehampton, limited service on to Meldon. By train: limited service runs to Okehampton from Exeter on summer Sundays, and a limited service runs from Okehampton on to Meldon Viaduct. By road: follow signs from the A30 to Okehampton, Sourton or Meldon. 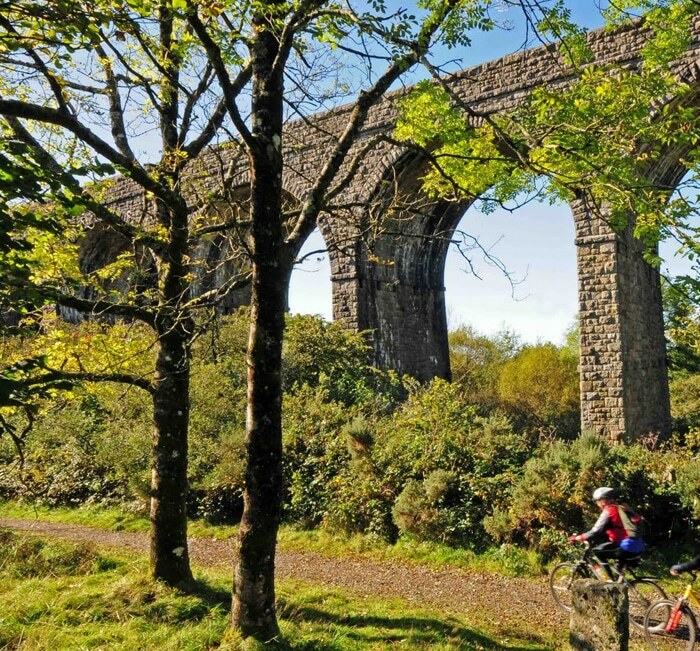 Granite way - mostly traffic free and wheelchair accessible, Meldon Viaduct, Reservoir and Black-a-Tor enjoy a mix of paths and open moorland walks. Surrounded by open moorland, Meldon is a breathtaking reservoir lake 900 feet above sea level teeming with native wildlife. After the vast wilderness of the moor this is the perfect place to settle for lunch or stroll around the reservoir. 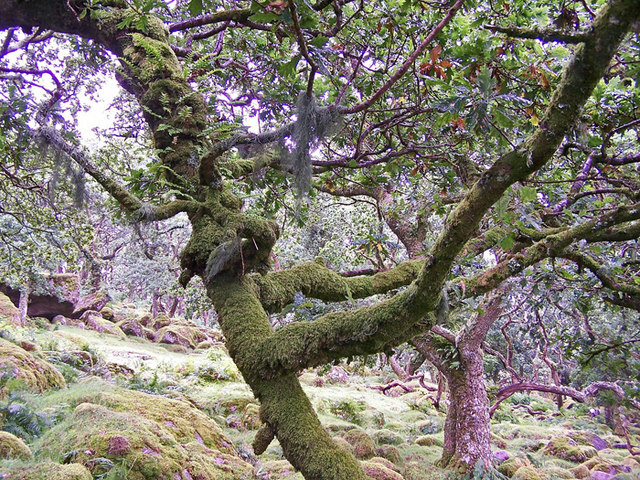 Black-a-Tor Copse is one of the best examples of high altitude oak woodland in Britain, the lichens and mosses that drape the trees are nationally important as well. Situated on Dartmoor this is no average wood; granite clitter (rocks) is scattered in clearings and the wood is surrounded by moorland heath. This is a great place to come for moorland birds, twenty breeding species have been recorded at the reserve including the ring ouzel and redstart. Meldon Viaduct was built in 1874 and spans 165 metres over the remains of mineral mines. The impressive views from the viaduct span across to Meldon Dam and reservoir to the south west. 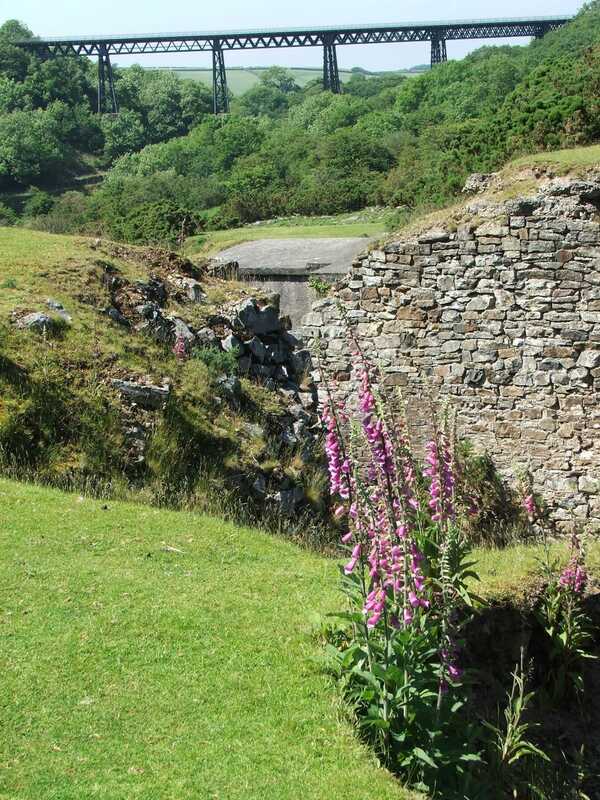 Down the valley is Meldon Pool – the old limestone mine that still has 2 lime kilns. Whether industrial history or natural beauty inspire you, you won’t be disappointed.